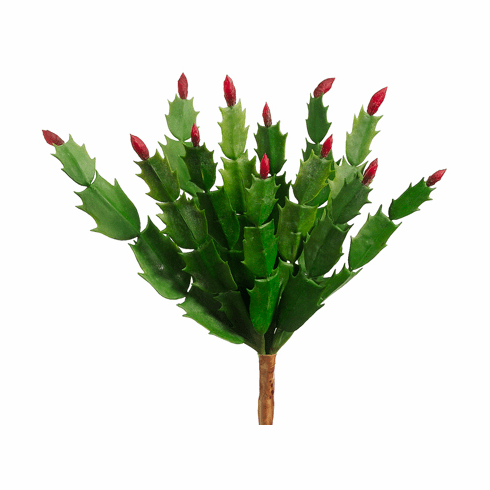 This 10 inch Christmas cactus will add just a touch of color to your arrangement. Whether you have southwestern decor or just like succulents this will add some class to your home or office. Overall length is ten inches starting from the bottom of the stem to the highest point. Easy to stick into some floral foam or directly into sand or dirt. Width: 8" as shown and is adjustable. Color: Green with Red Buds.